There is a lot of hype about fake news coming from Russia. In one way or another, the EU is getting organised to deal with that. But there is another type of fake news – home-made inside the EU, which could prove to be even more damaging. 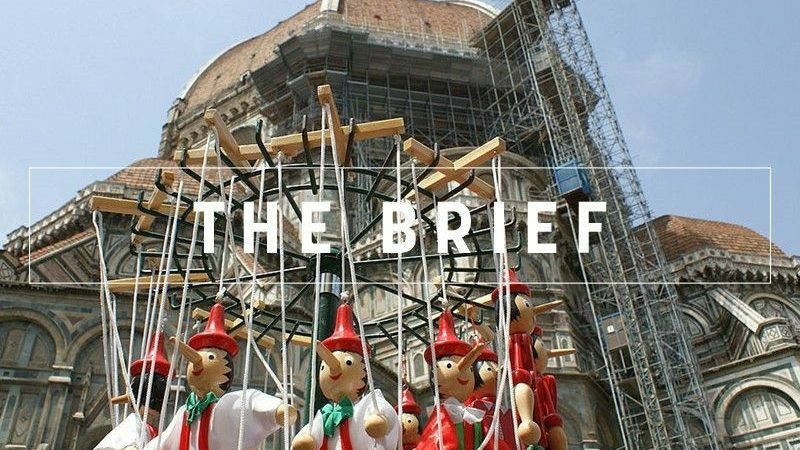 As the European elections are getting closer, every day we will hear politicians making gross misinterpretations, telling outright lies, or offending each other, even across borders. A fresh example is Italian Deputy Prime Minister Luigi Di Maio, who accused Paris of continuing to colonise Africa and causing people to migrate from the continent. The Italian ambassador to Paris was summoned, the Italian Foreign Minister Enzo Moavero Milanezi got entangled in explanations (invalidated in a fact-check), and France’s Europe Minister Nathalie Loiseau didn’t improve the general impression by saying that her country was not going to enter into a “stupidity contest”. Another fat international lie was carried by a far-right website in France, Résistance Républicaine, which claimed that President Emmanuel Macron will make true Hitler’s dream and surrender Alsace and Moselle to Germany. This prompted Marine Le Pen to publish a video in which she calls Macron a traitor. Of course, the words Alsace and Moselle do not even appear in the Aachen treaty, signed on Tuesday, but those who want to believe Macron is a traitor will probably not take the trouble to read the document. Aline Robert, chief editor of EURACTIV France, wrote on her blog that when she was asked to report about how media in France thought of the Aachen treaty, she found very little, but the video claiming that France was about to give back Moselle and Alsace to Germany had tons of views. We checked: with keywords “Traité d’Aix-la-Chapelle”, Google searches put “Macron trahit les Français” [Macron betrays the French] near the top. Platforms should therefore also be held responsible because they are pushing this kind of content, and will rarely bother to give a fact-checking article similar prominence. Le Pen recently claimed that the EU had legitimised Sharia law. We did a fact-check. It’s not true of course. But those who want to believe it’s true will repeat it, retweet it, re-post it, over and over. The good news, at least in France, is that a new law will enter into force from 1 February, in an effort to fight fake news by suing its authors. A judge should be able to assess rapidly what is fake and not. Politicians should be made to pass the Pinocchio test in front of a judge. We need a law across the EU. Fast! The EU’s chief negotiator Michel Barnier confirmed in an interview with several media that there is room for manoeuvre when it comes to the UK’s future relationship with the EU. In Davos, OECD secretary-general Ángel Gurría told EURACTIV he believed extending Brexit talks until July could be feasible in order to ensure an agreement is sealed. And the European Commission said EU fishermen will be eligible for compensation if the UK blocks access to its fishing waters in the event of a ‘no deal’ Brexit. Commission vice-president Andrus Ansip shares his views on disinformation, Huawei, copyright and his political future with our Samuel Stolton. Romania’s EU presidency will push to improve the EU prospects for Western Balkan – but only after the European elections, given the “political misunderstanding” of the process in some member states- a government minister told EURACTIV. The EU urged member countries to crack down on schemes granting “golden visas and passports” to foreign investors, particularly singling out Bulgaria, Cyprus and Malta. Opinion polls consistently put ruling Law and Justice (PiS) in the lead with between 30% and 40%, while the largest opposition party, the Civic Platform (PO), is at 22%. Piotr Kaczynski explains Poland’s current political scene. The gas interconnector between France and Spain remains a project of common European interest eligible for EU funding, the European Commission told EURACTIV. Greeks bearing gifts, as the Greek parliament votes tomorrow on whether to ratify the name change agreement with Macedonia.